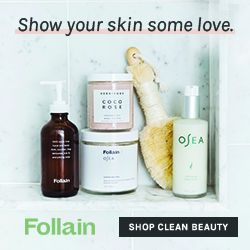 In addition to the new site, the new go clean kits and products, the Follain team wants to help you figure out your skin and the best way to treat it. They've got a handy new skin quiz (I'm "combination" if you're curious) and you can find the perfect products to keep your face so fresh and so clean, clean. 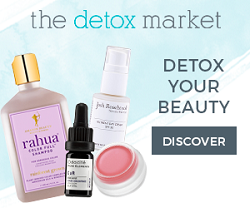 I sort of love that they're making it easy for anyone to visit, answer a couple of questions and be on their way to a healthier and cleaner skincare routine. Having clean beauty be more attainable is so important to me because it's so important to people's health. Really. 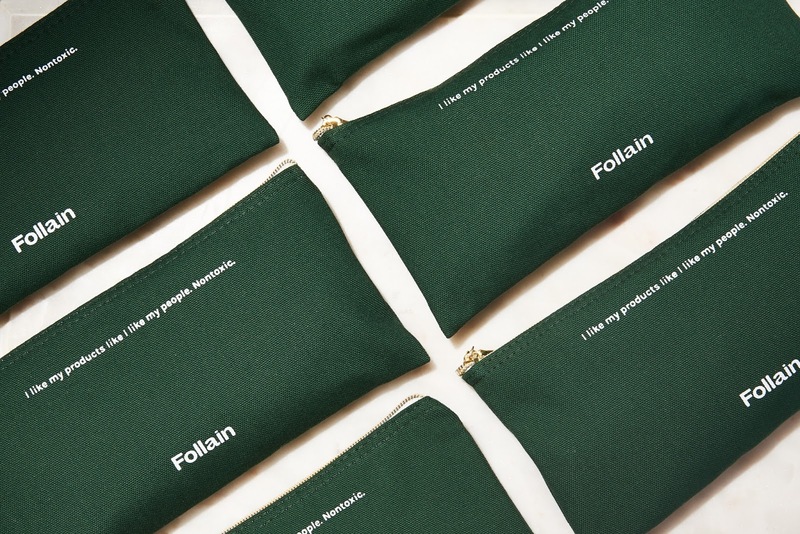 I've been around the block before so I have some products that I love to use from Follain. I'm loving the new go clean kits which give you the opportunity to try some great brands' products before committing to purchase a full size. Even though I've got a routine down it doesn't mean I don't like to experiment with different products especially if my skin is acting wacky (hello life post baby hormones)... 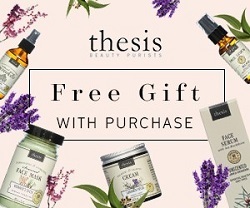 If you love the products you try, you can get 10% off the purchase of your new favorite skincare love. It's actually a really cool way of doing things plus I love a good zip up pouch, I know, I know, I already mentioned that. You can find Follain on Facebook, Twitter, Pinterest and Instagram. This year, I am happy to be included in the Red Sox Moms group, local ladies (and one Dad) who are all about their kids and love the Red Sox and want to help spread the good word about what the Red Sox are doing in the community, with our kids and what we can expect from them in the future. They've been building an amazing program, a fantastic kids pavilion and have really made the atmosphere so family friendly, a delightful change from the rowdy games my Dad once took us to. I am so looking forward to growing with my boys and the Red Sox, much to my Orioles loving husband's dismay. There's lots of cool stuff going on that I can't wait to experience with the local fam. I had the opportunity to check out some of the new things they've got going on, before last week's series with the Orioles. We took part in the Kids Nation program last year, taking in a Red Sox/Orioles game and love that we were able to bring the Propah Toddlah to his first baseball game. The “Kid Nation” program has launched for the 2017 season which again is giving 25,000 free game tickets to kids. There is free and paid option Kid Nation – both of which get the free game ticket! Additionally, the program offers access to exclusive Kid Nation events, discounts at the Red Sox store among special offers. Take a look at the different options to see what fits your family, especially if you hit up multiple Sox games a season! Check out Wally's Opening Day, a new 30 minute show released this Spring, is an adorable family romp, which has some very familiar voices: Wally’s voice is played by Tom Kenny aka Mr. SpongeBob SquarePants! And some other notable voices include Uzo Aduba (Orange is the New Black), Jennifer Coolidge (American Pie, Two Broke Girls), H Jon Benjamin (Bob’s Burger, Archer), and Lenny Clarke (Rescue Me). Our little toddler already loves Wally and I think the love will only grow as we take him to more ball games. The concessions are killer this year. You've got your good ol' stand bys (Cracker Jack's, Peanuts, Fenway Franks etc) but they've also got some amazing new items and souvenir stuff (Wally and Baseball mitt bowls). I happen to know that one of the Stowe children literally housed a bag of the Cheetos popcorn, it was that good. I can remember going to games in high school and there was no where near the selection. There's something for everyone, even salads and fruit, which is amazing no that I'm committed to losing the baby weight! The Showcase, which is a traveling Fenway Park and includes a batting cage, pitching stations, and a virtual reality experience, will be traveling throughout Massachusetts, New Hampshire, Connecticut and Rhode Island this summer. The initial kick-off event for this season will be at Faneuil Hall on Saturday, May 6! You might want to stop by for a little family fun. I tried the virtual batting cage when I was at Fenway this month and I must say that I didn't embarrass myself as much as I thought I would... maybe I still have that swing from my softball days! There's something magical to me about Fenway and the Red Sox. Maybe it's because I've gone to games with my family growing up, with high school friends, with college friends, with co-workers when I worked at the Gap even and now with my own family. There's so many fun memories with so many different people. I can't wait to make more and I hope you consider planning your trip to Fenway in the very near future! You can follow the Red Sox on Facebook, Twitter, Instagram and Pinterest! *This post was sponsored by SoCozy through Brandbacker but all opinions are 100% my own. I love to spit the truth. Thank you as always for supporting Prim and Propah and the brands that make this space possible. You may recall last month me talking about the SoCozy Hush line. Well, this is a sort of follow up on how we are the biggest fans here in the Propah Household. My toddler now has the words "styling foam" in his vocabulary and actually loves to do his hair. The new 'do that he has, makes him look a little like a punk which makes tantrums a little less adorable but he has really taken to styling his own hair, with a little help from Mom of course. 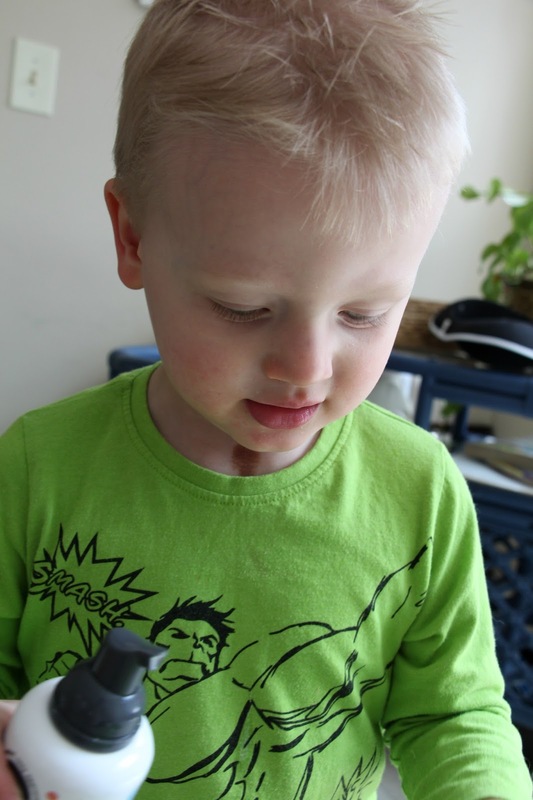 What I love about the SoCozy Hush line is that I don't have to worry about my little man getting his hands on a product that has lots of chemicals and nasty stuff in it. Instead, I let him go all in on taking care of his hair. I don't have to tell you that creating a safe environment for my kids is important. This means that I care for them, create security but it also means that I'm paying attention to what I feed them, what I buy to clean out home and what I'm putting on them. To find a product line like SoCozy makes me happy. Seriously. I love that I'm able to find these products so easily (hello Target) and that they're affordable. So Smart: Genius is more like it. SoCozy believes knowledge is power, which is why education is at its core—the pulse of the brand—so you’ll always find the latest advice, solutions, tips, and trends. So Safe: No nasties in there; just good, clean, honest formulations with ingredients that perform at the highest level. SoCozy is always safe and effective, and completely non-toxic. So Easy: Because being a parent isn’t always easy, SoCozy makes hair care that is. These simple, fun, multi-functional products streamline tub time to make styling a snap. So Cool: Take a strand. SoCozy encourages and supports individuality. For all kids and any hair type—SoCozy’s mission is to build confidence and inspire originality. Have you used any of the SoCozy products on your littles? I would love to hear about you experience! Find them on Facebook, Twitter and Instagram! If you follow me, you're probably aware of the Wanderlust Festivals. I share their content on occasion and have been saying for years that I want to attend one (or many) of their events. They seem like the type of people who throw a thoughtful and meaningful event, that if you're open to it, can really change your outlook on things, life, whatever it is you need to hear. I've made excuses before but that stops this year. 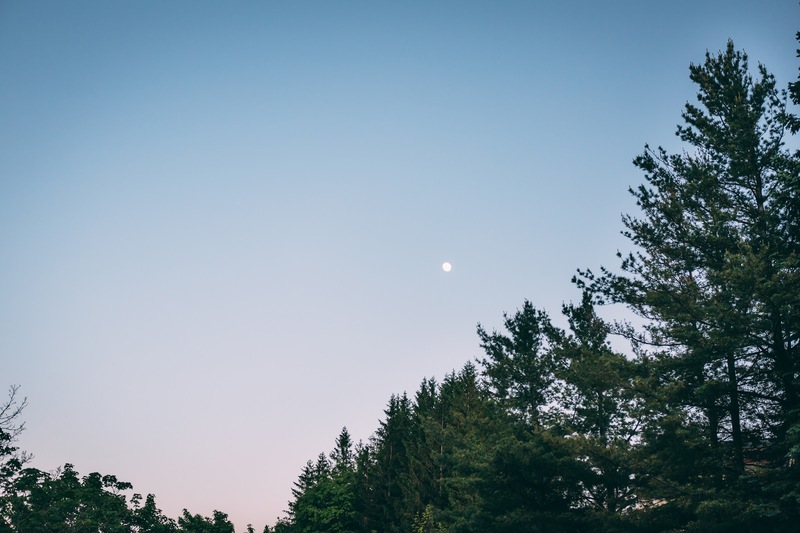 I'm taking care of my responsibilities (kids, family, home) and heading up to Stratton VT in June for their Wanderlust Festival... and I'm going by myself. Photo by Julianne Lesinki for Wanderlust Festival. You can read about how I attended W.E.L.L. Summit on my own and how I intend to head to Wanderlust solo, over on the WS blog now. I'm really excited to be spending this time on my own. I don't get much of that these days. 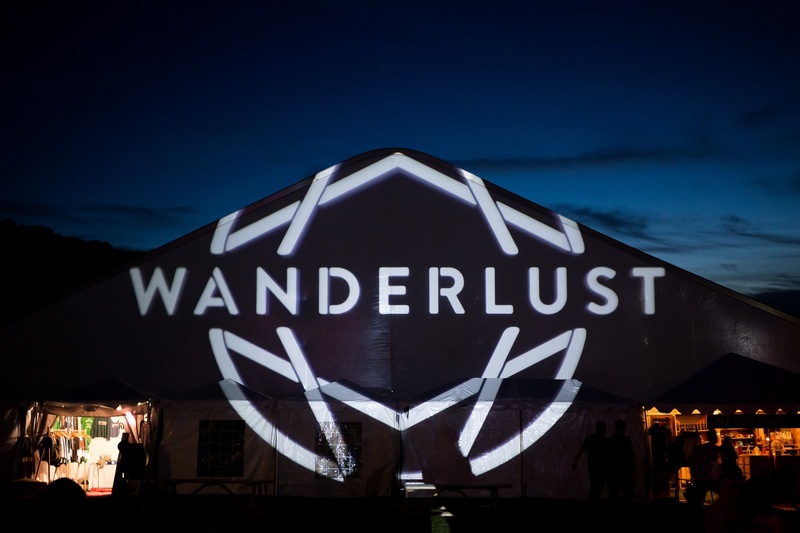 If you've never heard of Wanderlust, it's a four day festival all about mindful living, something you know that I am totally in to. Yoga, meditation, speakeasy talks, music, outdoor adventures and more... I literally cannot wait to draw up my "itinerary" because I can already tell there are things that I want to do that I may not have thought I could ever do. Plus, there's yoga and I can always do yoga. I want to go on a foraging hike. I want to do paddleboard yoga. I want to journal thoughts and dreams without a toddler hollering in the background. I want to be in nature, in the mountains, breathing fresh air. I want to listen to people speak to my soul because I need a recharge. I want an adventure and that's what I'm going to get. I'm already planning a reinvention of the Propah Prosperity Project with a touch of random and an Instax camera, that I'll probably document here. It's my hope that people are receptive to it, which I know in my heart that they will be. I'm so excited about the opportunity to connect with strangers, even though I'm going on a solo adventure. I want to make the most out of Wanderlust and I'm really hoping that I'll one day be able to attend a Wanderlust 108, their version of a mindful triathlon (pretty cool, right?). I'm not letting excuses stop me from doing the things I want to do. I'm just going to be better at planning that "me" time. I do have responsibilities but I know now that my husband, kids and life I've created are a priority but I should be making myself a priority, too. Have you ever attended a Wanderlust Festival or Wanderlust 108 Triathlon? I'd love to hear about your experience? You can find Wanderlust on Instagram, Twitter, Facebook and Pinterest! I love to craft and create but my oh my, it's been too long since I had the opportunity to do so. I've painted shoes before and it's something I wanted to do with toddler since he's very artistic and I thought he was ready for the awesome responsibility that is crafting with Mama... umm, I don't know that he was 100% ready. I'd calculate it more at 53% ready. We started off so sweetly. It was going to an uplifting how to post on painting with your toddler. LOL. Preparations were made using painters tape with some Target canvas shoes for me and some toddler shoes that I found on ebay because it turns out, plain canvas shoes for children are sort of hard to come by. I had plans, people, and we were going to create matching shoes using fabric paint, glow in the dark and some of my crafter's paint because, I mean, he's mature enough for those mediums, right? Acrylics. LOL. The excitement grows as we set up shop. The sun room is perfect for this type of craft and the creativity that will ensue. The toddler is ready with all his paintbrushes, water for rinsing, paper towels he won't use and a sense of adventure. Let's get ready to rumble, he thinks to himself. He makes a note to not to listen to Mom for the rest of the morning. LOL. Next time, I'll use a tarp. Next time, I won't give him free reign of the amount of paint that I will allow him to use. Next time, I'll take his socks off first. Next time, I'll use paint that can be easily removed using any household cleaners, not glow in the dark that has to be chipped off with time and care. Next time, I'll go into a kids craft with less expectations and more freedom for fun. I went into this with too much seriousness and the goal of perfection. I'll enjoy it so much more next time when I don't put pressure on us to be the most artistic mother-son pair in Massachusetts. Overall, our shoes do look very similar and I gotta say that the toddler took to painting inside his shoes like no other. He did commit a good amount of time to this project, which for a toddler, not even three, was a success in and of itself. I ended up finishing both pairs of shoes, which is fine by me and maybe in the future, he and I can do something else together that will be organically awesome and not something I set out to "make a blog post" out of. That's so silly of me, to think like that. I should be planning things for us to do that's fun, not technology centered and doesn't have any other goal than to enjoy each other's company doing something we love. But that aside, do you like how they came out? Something that I've really loved about getting my beauty routine "clean" combined with being a blogger is that I've been lucky enough to get to know the people behind the brand in some cases. 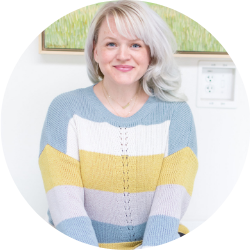 There are so many different lines created by creative entrepreneurs that you could try a new one every day so when I'm able to connect with the people, the human beings making the products, then I think it makes it a more special experience. You're probably tired of me gushing about the W.E.L.L. Summit but tough, it's a part of me now. In the Rebecca Casciano Sacred Beauty session, we were introduced to the pair behind KPS Essentials. Natalie reached out to me after I commented on an Instagram post of another eco beauty blogger. I had mentioned that I wanted to try their Renu C+ Serum because time is passing people and I would like to keep this face looking as fresh as possible for as long as possible without damaging it with junk. Natalie and I set up a time and we spoke on the phone, person to person, about my skin, what I thought I needed and what she thinks I actually needed. She wrote me up a plan based on my concerns, basically my wrinkled forehead. I swear that's where I am aging the most. But of course, Natalie took my skincare routine into consideration and gave me some thoughtful tips on taking care of my face. I was gifted the Antioxidant Eye Repair Serum, Probiotic Toner, Renu C+ Serum, Aromatherapy Cleansing Oil and the Renu Face Cream and to say that I was excited would be an understatement. That package arrived a month ago and I've followed the routine (mostly) morning and night... and guess what? I've noticed a real change! Want to hear something silly? I measured by one crease on my forehead, the biggest culprit... and she's backing down folks. She's retreating. You know what the secret was- a combination of the eye repair serum, Renu C+ serum and the Renu face cream. I'd create a little "cocktail" of those products and have it act as my facial treatment after cleansing and toning, so super simple. 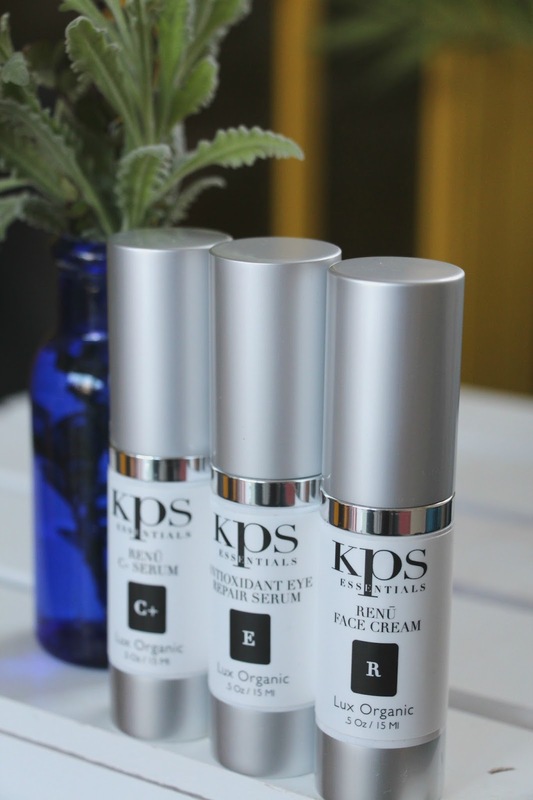 The products from KPS Essentials are meant to be used continuously to improve your skin and provide lasting results without clogging up the works with all the nasties you can find in your typical targeted skincare products. 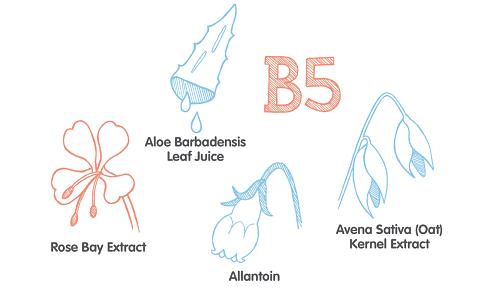 KPS uses farm grade organic ingredients that you can feel good about using on your face. They target your skin with distinct functions: hydration, volume, collagen growth, hyper pigmentation, and acne. 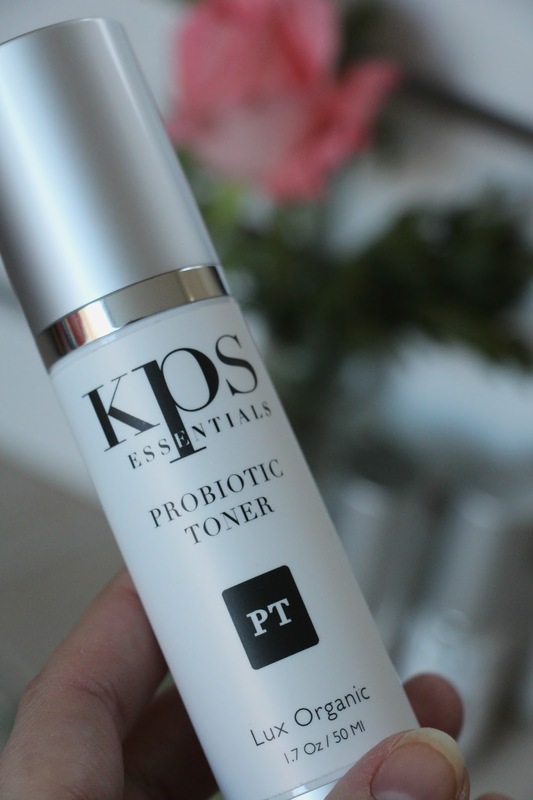 What I think I love the most about the KPS Essentials line is that they ARE targeted products. They feel luxe. They work. Want to hear a sweet little bonus on the aromatherapy cleanser as well? I use it on the kiddos tootsies after bath and before bedtime, so we all relax a little bit after a long day together! 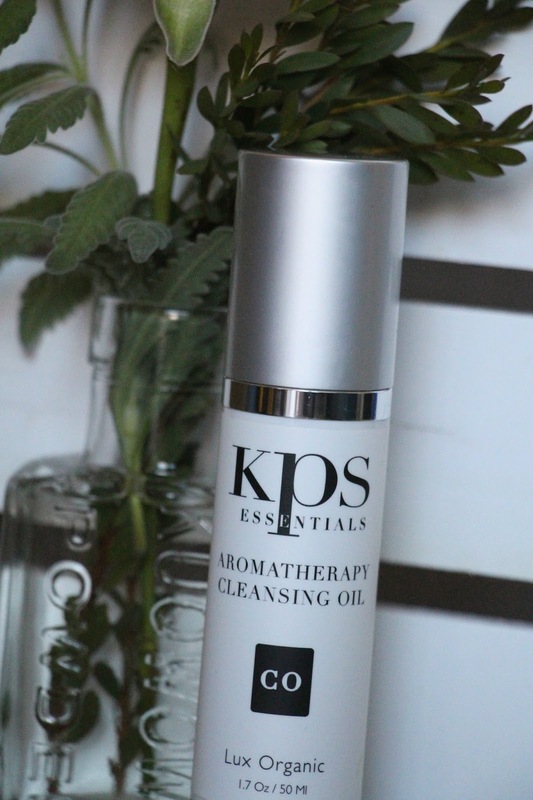 You can find KPS Essentials on Facebook, Instagram, Twitter and their blog. 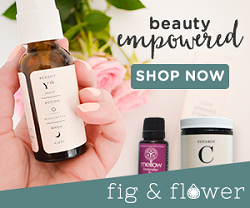 Yoga Reaches Out + a Belle Etoile Giveaway! You may recall me talking about Yoga Reaches Out a few weeks back, you know, to let you know that I am participating again, that it's an amazing event raising money for a couple of amazing organizations (Boston Children's Hospital and Off the Mat Into the World) and that I'm a member of the Yoga Reaches Out planning committee this year, yay! You could say that I am wicked involved and that it's exciting for me! That being said, I've let time fly by and here we are, a month away and Mama has got to get to fundraising! I said to myself, how can I make this year as fun as last years (you may remember the lululemon yoga mats signed by Posh and Prep) fundraising efforts? Well, I reached out to my friends at Belle Etoile Jewelry and they jumped at the chance to help such a worthy cause and to help their girl over here! For every person who donates to Prim and Propah's personal fundraising efforts, you will be entered to win the gorgeous Fontaine White Pendant and Chain (over $150 value). Fontaine, meaning ‘fountain’ in French, represents the gorgeous movement of cascading water. Featuring glittering sterling silver, Fontaine emulates the beautiful movement of a fountain or waterfall. At the bottom of the luxurious lines of sterling silver sit twinkling pavé-set stones mirroring light reflecting off of rolling and colliding waves. It's a stunning piece and I am so happy that one of my lucky donors will call it their very own! How awesome is it that Belle Etoile wanted to get in on the feel good action? I LOVE IT! Donate on my personal page here and then come back to the rafflecopter to log your donation. Thank you to everyone who donates. You help to make Yoga Reaches Out as successful as it is, year after year! PS. Keep your eyes peeled because Belle Etoile and I will be working on something super fun for Mother's Day as well; stay tuned!